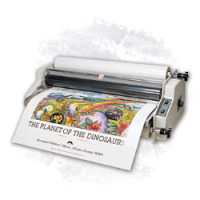 The Ledco 27” Professor Heated Roll Laminator is a feature-rich laminating machine perfect for office or professional applications. With multiple safety features, silicone heated rollers, and digital thermometer and temperature control, the professor is truly a pleasure to operate. 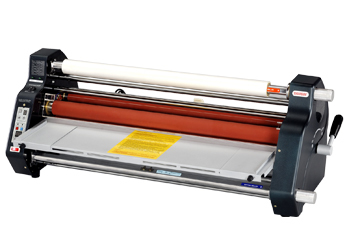 The top and bottom rollers are designed for easy alignment, the forced air cooling means the Ledco 27” Professor can be used on films up to 10 mils thick, and the adjustable speed and tension mean that you’ll get perfect results every time, no matter what you’re laminating. 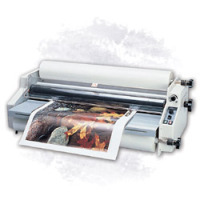 If you need a durable, flexible machine for your office or printshop, consider the Ledco 27” Professor Heated Roll Laminator. 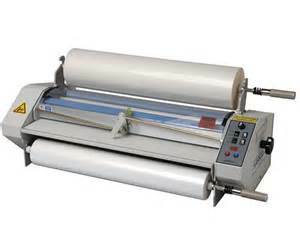 This heated roll laminator comes with a two-year manufacturer warranty.